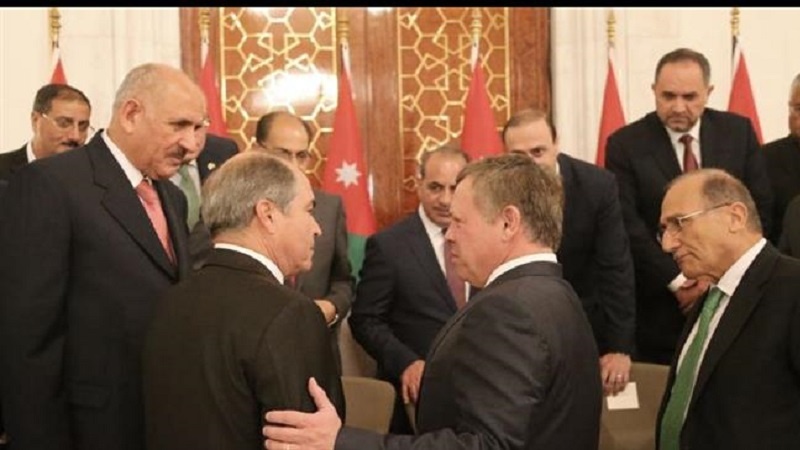 Jordan’s King Abdullah is expected Monday to ask Prime Minister Hani Mulki to quit after five days of unprecedented angry protests against the country’s economic policies. According to Press TV, the dismissal of Mulki is one of the demands raised during the recent wave of protests against IMF-dictated tax increases and price hikes that have hit the kingdom. The sources said King Abdullah has summoned Mulki for an audience in his palace later on Monday. Thousands of people took to the streets in the capital, Amman, and main provincial towns for a fifth night Sunday to protest against proposed tax increases, in the biggest anti-government rallies since 2011. Recent fuel price hikes and subsidy cuts have also stoked anger at the government. Protesters have criticized the government for resorting to increasing prices and taxes to raise funds instead of dealing with corruption. “The government has been raising prices for everything, without improving any of the country’s poor services in return,” Ali Ibrahim, one of the protesters, said. The demonstrations began last Wednesday when thousands of Jordanians staged a strike against an income tax bill that they say will worsen an erosion in living standards. The strike was called after the prime minister refused to scrap the bill which was rejected by many Jordanians. Witnesses said protesters who converged near the Cabinet office on Sunday said they would disband only if the government revoked the bill it sent to Parliament last month. “The government has made us penniless … they have left us with no more money in our pockets,” protesters chanted. Police have been accused of using heavy-handed tactics towards protesters since the rallies began Wednesday, and many fear that they will become more violent as the numbers swell. “The popular movement … has surprised the government,” Adel Mahmoud said, adding that he expected demonstrations to continue until demands are met. Jordan has a public debt of some $35 billion, equivalent to around 90 percent of its gross domestic product. The price hike and steep tax increases, which the government of Mulki introduced earlier in the year as mandated by the International Monetary Fund (IMF), are meant to cut into the debt. According to official estimates, 18.5 percent of Jordan’s population of 9.5 million is unemployed, while 20 percent are on the brink of poverty.